Enjoying the fresh product of Miami has never been easier. Check out our day-by-day guide to farmers’ markets in Miami. The rich and fertile soil plus the excellent growing conditions in Florida culminate in some of the best produce around. The healthy foods from local farms might be fully organic or not but without any doubt, the produce you will find in a Florida farmers market will be superior to what you’ll get in a normal grocery store. When given the opportunity, you should always look to support local agriculture and eat local and seasonal fruits and vegetables. Here the Culture Trip presents seven of the many wonderful farmers’ markets that Miami has, listed in order of the days of the week (Monday-Sunday). Keep it fresh Mondays! With the expert guidance of The Market Company, the Adrienne Arsht Center Farmers Market features Florida-grown produce and prepared foods at 1300 Biscayne Blvd. in downtown Miami. Purchase fresh food from stands overflowing with local harvest – seasonal fruits, vegetables, meats, prepared food and beverages – while enjoying periodic workshops with food writers and chefs, live music and cooking demonstrations. This is a year-round open air market offering locally grown organic fruits and vegetables, artisan baked goods, French pastries, cupcakes, orchids, drinks, and smoothies, local honey, kettle corn, and aromatherapy products. Conveniently located near the Metrorail Station, this market has plenty to offer and is now open three days a week! The Well ’Canes Farmer’s Market, an initiative of the Office of Human Resources and the University of Miami Student Government, returns on Wednesday, October 5, featuring locally grown and organic produce, baked goods, artisan cheeses, honey, marinades, ceviche, pasta, and more. Flowers, plants, and orchids can also be found at the market, which has proven to be popular with faculty, staff, students, and local residents since its opening last year. Having recently opened, this farmers’ market is by all accounts very well set up, featuring a diverse and lively group of vendors along 62nd Avenue. Some of the vendors that are at this farmers market were previously at the Jackson Memorial Farmers’ Market, and most of them accept credit/debit cards as well as cash. 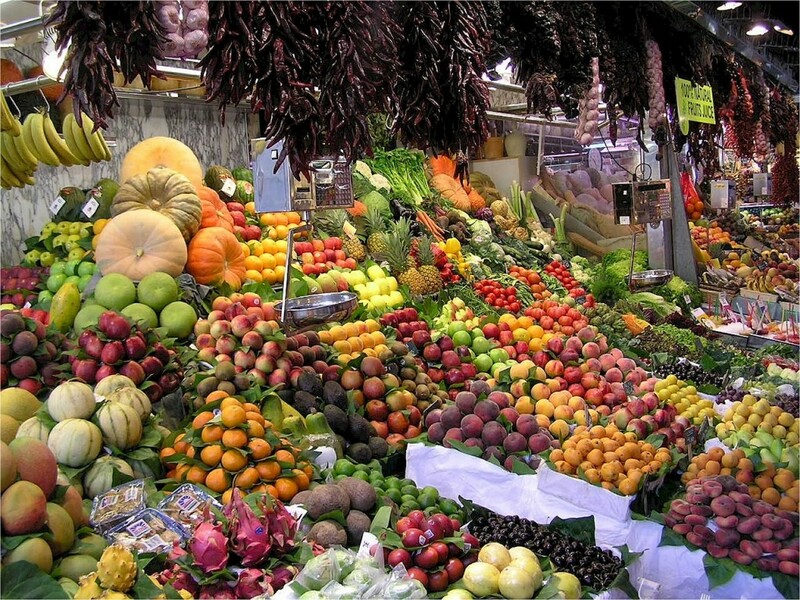 One visit and you’ll see how this market has quickly become popular for its atmosphere and quality produce. When: Wednesdays, 8am to 3:30pm. Open all year. Not everything grows here in Florida, but a lot does. And if it’s grown here, then you are guaranteed to find it at the Grove Green Market. Every Thursday from 2 to 8 p.m., you can peruse the fresh veggies pulled directly from the ground or buy locally made products such as breads, jams, and treats. The items vary each week, creating a unique treasure trove of goodies each time, such as piña colada preserves from Freakin Flamingo Jams, goat cheese from Hani’s Mediterranean Organics, and maybe even colorful beans from Seasons Farm Fresh. When: Saturdays, 9am to 2pm. Open all year. It’s Sunday and your weekend is almost over. You need to replenish your system with much needed vitamins and nutrients for the long week ahead. So grab a coffee and get yourself over to The Lincoln Road Farmers’ Market. The green market features fruits, vegetables, fresh cut flowers, plants and other items, such as bread, honey, jams and jellies. The market takes place every Sunday on Lincoln Road between Washington Avenue and Meridian Avenue from 9 am to 6:30 pm, year round. When: Sundays, 9am to 6:30pm. Open all year.